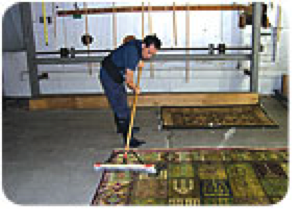 Emmanuel’s Rug & Upholstery in Seattle is one of the oldest and most respected rug-cleaning companies in the country. It is a fourth-generation family owned and operated business, with the fifth generation now working there as well. It is also one of the few companies with women owners active in the business from the beginning. The story of company founder John Manoug Emmanuel is a familiar one. Born in a small village in what is now Turkey, Emmanuel was driven from that country during the Armenian genocide. He immigrated to the United States at Ellis Island in 1904, and moved to Seattle, where he began selling Oriental rugs. 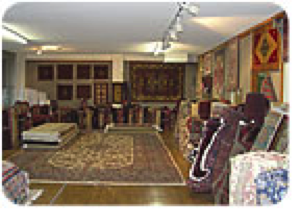 In 1907, he founded Emmanuel’s Inc., specializing in selling, cleaning and repairing oriental rugs, working well into his 80s. His wife Mary was also an expert in rug re-weaving. 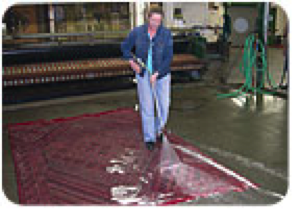 By the late 1920s John’s son Bob entered the business and the emphasis became more focused on cleaning and repair. Bob Emmanuel was one of the key founders of the Rug Cleaners Institute of the Northwest (now the CCINW) and one of the first northwest members of the National Institute of Rug Cleaners (now ASCR). His wife Betty and daughter Joyce were also active in the business. In 1970, D.A. 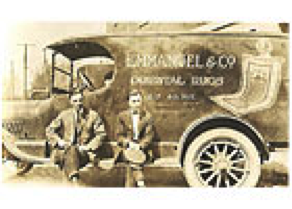 Burns & Sons, Inc. merged with Emmanuel’s, Inc., bringing to together two of the oldest and largest rug-cleaning firms in the northwest under the name Burns & Emmanuel’s. In the spring of 1973, Bob and Betty decided to retire and sold their share of the business to D.A. Burns, retaining the Emmanuel’s name. But retirement did not suit Bob and Betty, so they re-entered the rug cleaning and repair business in the late 1970s. After Bob passed away in 1986, his daughter Joyce and her husband ran the business. Since 2002 Joyce’s daughter Thea Sand has been the CEO, with her children Ryan and Trista active in the day-to-day operation. “Thank God for our employees!” Sand said. “Emmanuel’s wouldn’t be where we are today without our amazingly dedicated family of staff. Barry Weir, our plant manager, has been there since 1978. Lochio Saephanh, our repair department manager, has been with us since 1982. Ying Chang since the late 1980s. Bob Snell, on-location since the early 1990s and Ket Hornthoum on the wash floor. They are our backbone. “We don’t have a fancy mission statement. Our philosophy is pretty much the same as it’s always been: To do the very best job we can under all circumstances and to be fair and truthful in our dealings with our clients and employees. I guess the more things change, the more they stay the same. Clients often tell us that they appreciate our ‘old school’ ethics and service. Good service takes time and we’re not the ‘fast food’ of rug and carpet cleaners. If we can’t do a job the way we feel it should be done, we will decline the work.